Most image viewing programs have a built-in feature to help you change the size of images. 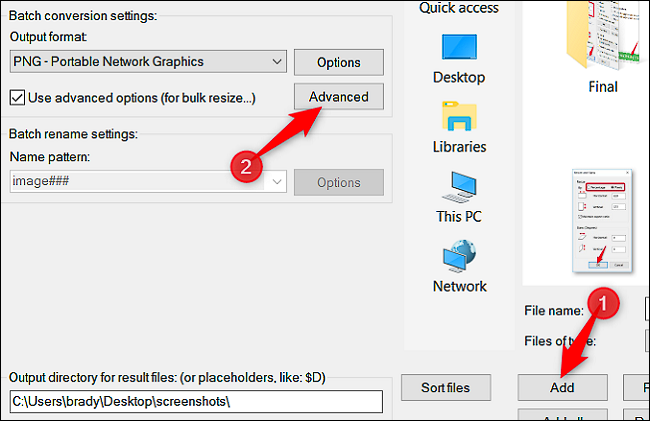 Here are our favorite image resizing tools for Windows. We’ve picked out a built-in option, a couple of third party apps, and even a browser-based tool. Maybe you need to upload a smaller version of a photograph to Facebook (they do it automatically and badly when you upload anyway) or another social site. Maybe you want to include an image that isn’t so ridiculously oversized in an email. Or maybe you want just the right size image to include in a blog post or Word document. Whatever your reason, it’s not hard at all to resize an image. We’ve rounded up our favorite tools for doing it in Windows, whether you need to resize just one image or a whole batch at once. The quality of a resized image really depends on the original image you’re resizing. Photographs tend to do best, at least when you’re reducing the size of an image, because they have lots of detail to begin with. High resolution photos are more open to blowing up to larger sizes, but even they have their limits—blow up a photograph too much and things start to get grainy. Here’s an example of a resized photograph. The original image was 2200×1938 pixels, and we cropped it down to a mere 400×352. The image is crisp, and the details still present. If you’re working with a screenshot that you took on your PC or mobile device—or any image that contains text—resizing tends not to work terribly well. 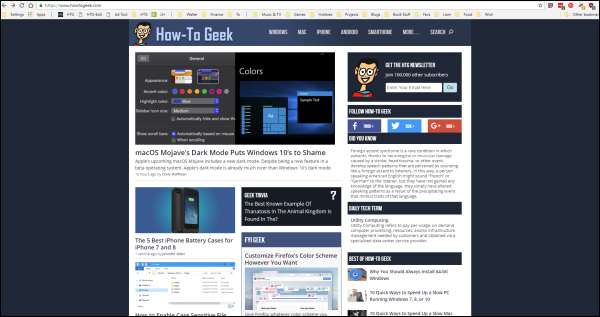 Here’s an example of a screenshot taken at 1920×1040 pixels, and then resized down to 600×317 to fit on our site. 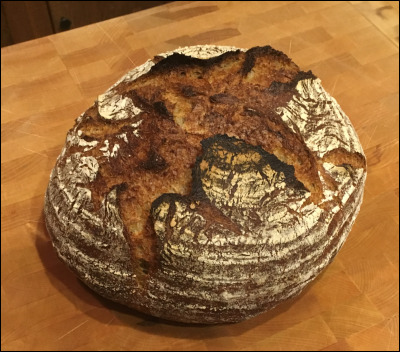 It’s okay if you just want to show the broad look of things, but not so much for detail. 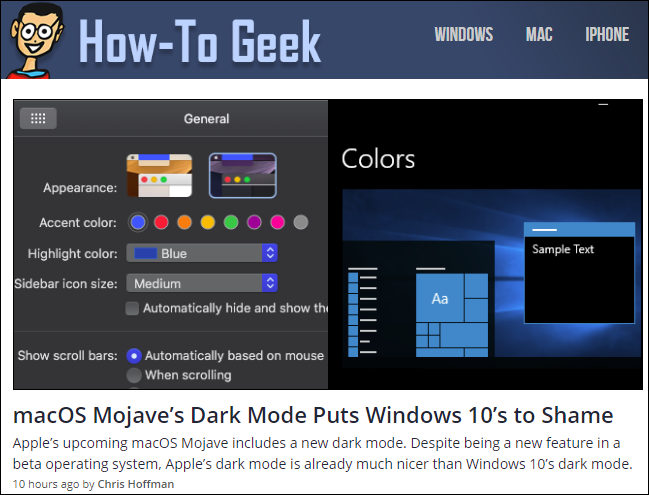 That’s why we prefer cropping screenshots to resizing them for our articles, like with the image below. So, with that out of the way, let’s move onto the Windows tools you can use to resize your images. Paint has been a staple of Windows since version 1.0 in 1985. Chances are you’ve used it before. Paint opens most common file types (BMP, PNG, JPG, TIFF, and GIF) and offers a very straightforward approach to resizing images. 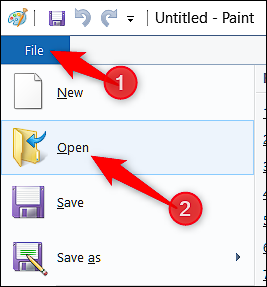 In Paint, open your image by opening up the File menu, and then clicking the “Open” command. Find and select the image you want to resize, and then click the “Open” button. On the Home tab of the Paint toolbar, click the “Resize” button. Paint gives you the option of resizing by percentage or by pixels. It uses percentage by default, and that’s fine for rough resizing. If you need something specific, you’ll need to switch over to using pixels. When you type a horizontal or vertical value, Paint automatically creates the other value for you to maintain the original image’s dimensions. Select the percentage you want, or the desired dimensions, and then click the “OK” button. If you only need to resize one image at a time and don’t want to install any third-party apps, Paint is a pretty decent resizing solution. Note: As of 2017, Paint has been added to the deprecated list of apps no longer being developed by Microsoft. Instead, they are replacing Paint with Paint 3D. Paint is likely not going away for a while, though, and you’ll still be able to download it from the Windows Store. PicPick has a similar-looking interface to Paint, though it packs a lot more features under the hood, including better editing and annotation tools, and solid screen capture utility. It’s free for personal use, and the commercial use license is about $25 . 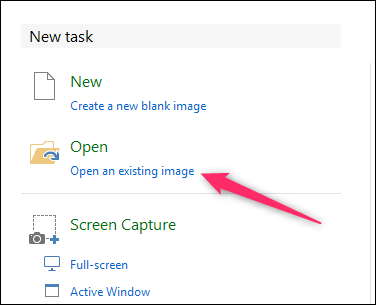 On the PicPick splash screen, click the “Open an existing image” link, and then find the image you want to resize. 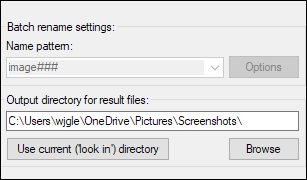 You can also drag an image from File Explorer onto an open PicPick window. 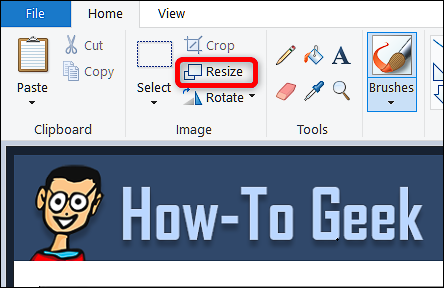 On the toolbar, click the “Resize” button, and then click “Image Resize” on the dropdown menu. PicPick lets you resize by percentage or by pixels. It uses percentage by default, which is good for rough resizing. If you need to resize to specific dimensions, switch over to using pixels. When you type a width or height value, PicPick automatically sets the other value for you to maintain the original image’s dimensions. You can disable this by deselecting the “Keep aspect ratio” check box, though we’re not sure why you’d want to. While PicPick (and Paint, for that matter) does a fine job of resizing one image at a time, sometimes you’ve got a bunch of image you need to resize to the same dimensions. For that, we turn to our next couple of tools. IrfanView is first and foremost an image viewer, and it’s a great one. It’s fast, lightweight, and can open just about every image format in existence (even a lot of audio and video formats). And best of all, it’s free. 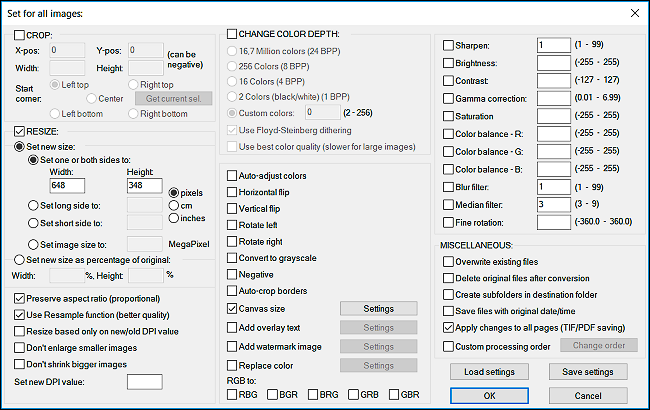 It doesn’t include a lot of the editing and annotation tools of an image editor like PicPick, but it is great for quickly resizing, cropping, and rotating images. And there are lots of plugins available that extend its functionality. 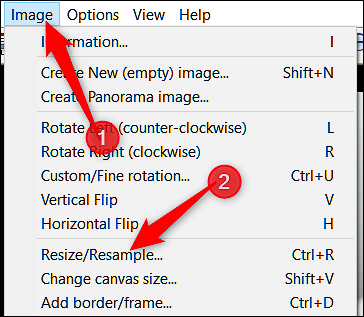 To resize a single image in IrfanView, open the Image menu, and then click the “Resize/Resample” command. 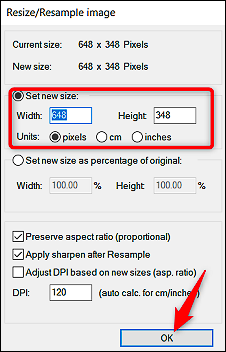 You can resize by specific dimensions (pixels, centimeters, or inches) or by percentage. 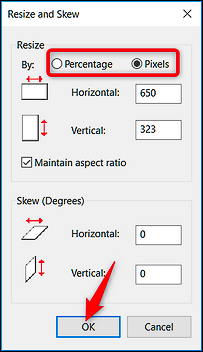 IrfanView uses dimensions by default, which is great for when you need images to be a specific size, though you can switch to percentages for rough resizing.When you type a width or height value, IrfanView automatically sets the other value for you to maintain the original image’s dimensions. You can disable this by deselecting the “Preserve aspect ratio (proportional)” check box. Type in the new dimensions (or percentage) for the image, and then click the “OK” button. That’s it. 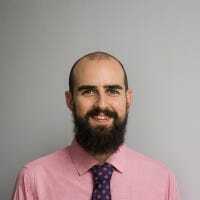 Your new image has been resized and is ready to use! IrfanView has a built-in batch tool if you have multiple images that you need to convert all at once. The batch tool can be a little bit confusing to work with, since you can use it to apply just about any of the functions IrfanView includes. But once you get a hang of it and what options to use, it’s a great addition to an already excellent product. 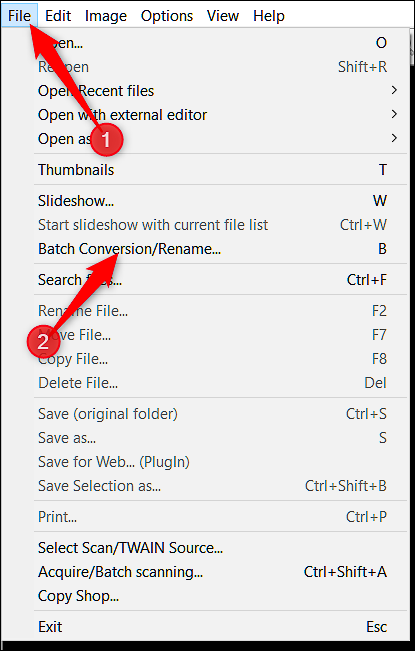 Open the File menu, and then click the “Batch Conversion/Rename” command. Next, in the right pane, navigate to the images you want to resize, select them, and then click the “Add” button. When you’ve got your images added, click the “Advanced” button over to the left. The next window has a lot of features and is a little bit of an eye sore. The options we’ll need for resizing images are all over on the left, so we’ll just focus our attention there. 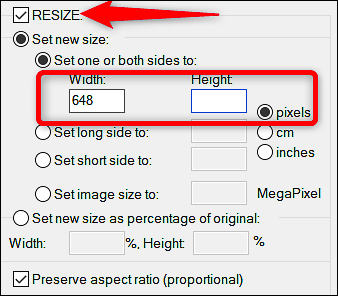 Select the “Resize” check box, and then enter the new size you want for all your images. The options here are the same as you’d find when resizing a single image. When you’ve got it set up then click the “OK” button to close the Advanced window. Back in the main Batch Conversion window, make note of the output directory. That’s where your new, resized images are stored. 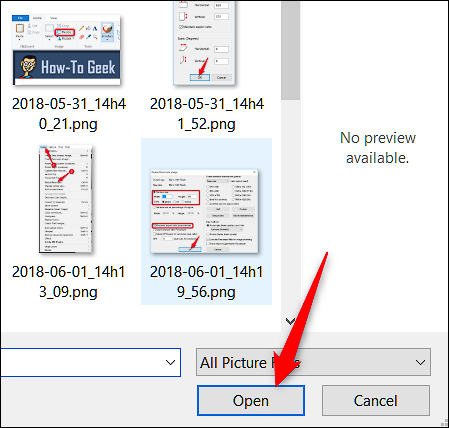 If you want, you can select a different folder or just click the “Use Current (‘Look In’) Directory” button to have the new images save to the same folder as the originals. And don’t worry, your originals are retained by default. 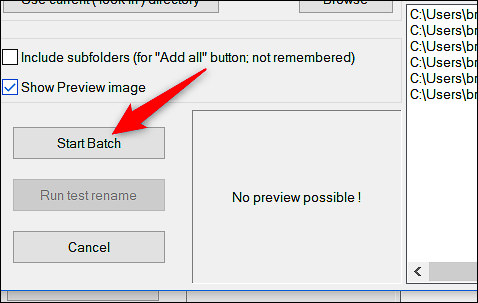 Finally, click “Start Batch” to convert all your images. If downloading and installing yet another program onto your computer isn’t something you want (or if you’re not using your own PC), there are lots of online resizing tools that you can access with just your web browser. One of our favorites is BulkResizePhotos, a free service that lets you resize, edit, crop, and compress images. It’s also very fast, because it doesn’t upload the images to their servers. Your images never leave your computer. On the site, click the “Choose Images” button, and then find and select the images you want to resize. You can choose a single images or hundreds at once. Click the “Open” button when you’re ready. 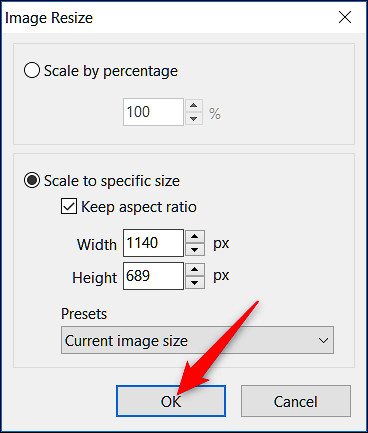 On the next screen, you can choose how to resize the image—Scale, Longest Side, Width, Height, or Exact Size. 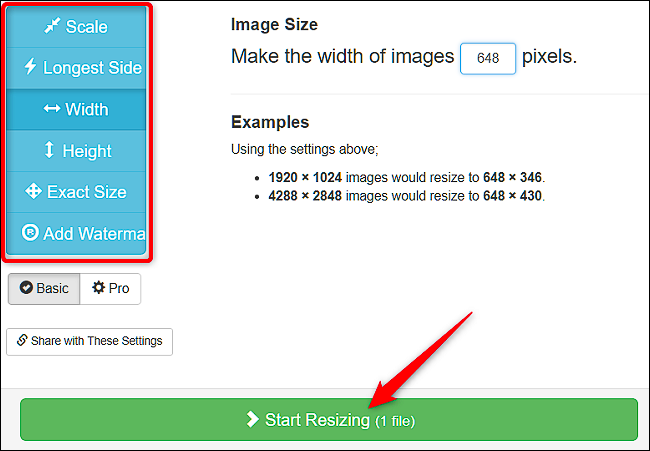 Select an option, type in the size you want, and then click the “Start Resizing” button. As the images are resized, they are saved to your Downloads folder (or whatever folder you’ve got set up to save downloads from your browser). Have a favorite tool we didn’t mention? Let us know about it in the comments!